John the Go is an international travel blog created by a British Expat living in Germany. 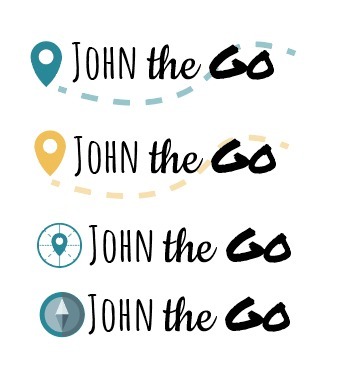 John the Go recently contacted Brown Leather Book to create a brand new logo and icon set. What John started with initially, was inspiration on the web that he found during his research. We exchanged a couple of screenshots, shared a couple of links and discussed the factors that he like about his new template. This included things like the font, the colour and the navigation. John also already knew how he would be grouping his content on his travel blog. The web is full of inspiration and resources, so we were quick to find a style that could fit into the blog. Based on the samples and the sketches John sent me, I was able to create some icon samples that I believed could fit into his category. After I had a considerable amount of variations, it was time to colour them. Based on the colours he was using already, I send him some colour samples. It turns out John really, really, likes yellow. But we still decided to work with this colour set first. 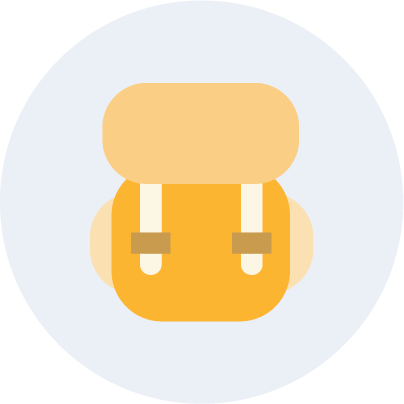 I quickly created some icons with the provided colour scheme to get his first feedback. Turns out John loved the icons, apart from the bike. That icon wasn’t my favourite either. So we killed the bike. The white colour wasn’t really suitable as a button, and while when implementing it on John’s map, the blue was quite dominating. Maybe four colours weren’t the best idea for this blog set up after all. They just weren’t vibing. So we went back to the drawing board and decided to go for two colours that would flow through the entire homepage. John fell in love, with this yellow. Submitting the design package doesn’t end there. Usually there are formatting issues during an export. Therefore I always make sure that I offer one or two reviews after submission. These were quick fixes, I seek perfection, and don’t like submitting bad quality. The whole process took us about 2-3 weeks and I must say that it was such a gratifying experience. All the logos and icons worked perfectly on the blog and were uploaded successfully. 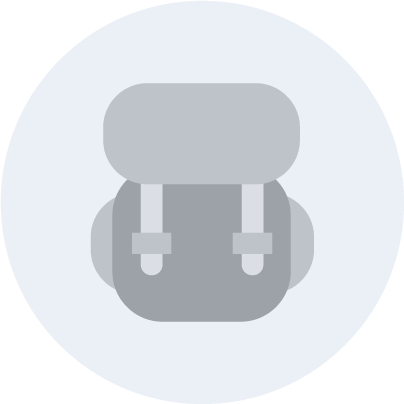 Want me to create some icons for you? Get in touch. Get in touch and I'll be glad to send you a higher resolution and crediting guidelines.